BBC – Dr. Ambedkar do you think that democracy is going to work in India? Dr. Ambedkar – No, I would say in a formal sense if you want. BBC – What do you mean? Dr. Ambedkar – [inaudible]… some periodic elections, Prime Minister and so on and so on. BBC – Are elections very important? BBC – But elections are important because they give chance to change the government. Dr. Ambedkar – Yes, but who has an idea that voting means the change of the government? Nobody has. People have no consciousness and our electoral system never allows to choose the candidate. Now, for example, Congress says vote for the Bullock, the question never comes who represents the Bullock. Nobody cares who is the candidate behind the Bullock election symbol. People will vote only for election symbol. People don’t know whether the election symbol Bullock is being represented by a Donkey or an educated person. BBC – What do you mean by formal sense, in the fundamental sense that democracy wouldn’t work? Dr. Ambedkar – We have a social structure which is totally incompatible with the parliamentary system. BBC – Do you mean it is based on inequality? Dr. Ambedkar – Yes, it is based on the inequality. Unless you get rid of the caste system, you can’t fix. It is a question of social structure and it should be outcaste (or did he say ‘outlawed’). I am quite prepared to say that it would take some time to fix the social structure if you want to fix in a peaceful way. But then somebody must be making the efforts to change the social structure. BBC – But Prime Minister is giving many statements against the caste system in his speeches. Dr. Ambedkar – These are endless speeches. [Inaudiable but sounds like he said here – When Carlyle was presented with volumes by Spencer, he said oh these English speaking are acting like Christians now.] We are fed up with the speeches now some concrete actions should be taken, such as some programs and schemes should be started so that some real work is done [to eradicate caste system]. BBC – Suppose if all this didn’t work, what alternative do you think? Dr. Ambedkar – As an alternative, anything is possible, for example, communism. BBC – Why do you think that democracy would not work for the nation? Wouldn’t living standard of people improve? Dr. Ambedkar – Who really cares about the elections business? People want food, people want their materialistic needs to be satisfied. In America, there is a democracy and it works and I don’t think there would ever be communism in America. I have just arrived from that country. They had invited me to award me a degree. In America, every citizen’s voice is heard. BBC – But this can start in India also. Dr. Ambedkar – How? We don’t have much land, rainfall rate is much lower, our forests are is less. What can we do? BBC – How do you think these problems can be tackled? BBC – So you mean the whole system will collapse? Dr. Ambedkar – Yes, indeed, pretty soon probably. If the foundation of the building begins to collapse, it’s the lower strata that would be more damaged, that means my own people, untouchables. BBC – Do you think communists would have any impact? Dr. Ambedkar – No, they are not working. They have trust in me and I haven’t said anything till now. If they will ask then one day I will give the answer. 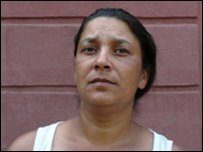 Higher population of Roma Gypsies in Miscolc, Hungary getting discriminated. 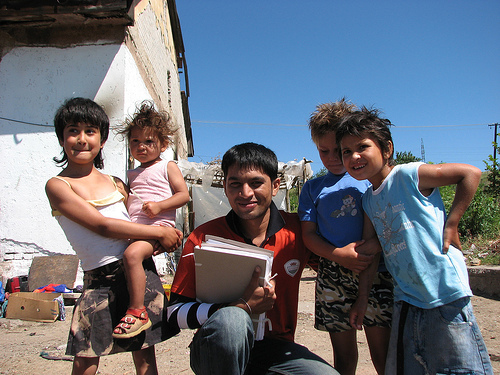 I live the life of a Roma Gypsy in Jai Bhim Network, Sajokaza, Hungary. I got understand the rights violation and Roma Gypsy facing poverty day after day. Roma got discriminated against almost all fields of life, mainly in employment, education, housing and access to public places such as restaurants and bars. From the past 5 years and more Jai Bhim Network continued to fight against Roma Gypsies and held marches around the country aimed to get equal rights and pride to be Romani Gypsy in Hungary. Gypsy people regularly punished for minor offenses. Police and municipalities selectively applied laws against the Roma Gypsy people to segregate and their freedom of movement in Hungary. Courts increasingly used the provision of the criminal code on racism to convict Roma Gypsy, whereas the law was designed to protect members of minority groups. 90% of Roma Gypsies are unemployed. Municipalities use variety of techniques to prevent Roma Gypsy from living in City like Budapest, Debrecen, pecs etc. First World Buddhist Radio – Awakened Voice has launched on the occasion of 14th April Dr. Babasaheb Ambedkar Jayanti. Bhante Vinayarakkhita inaugurated WBR (World Buddhist Radio) at Mahabodhi Vihara, Bangalore, India. An appeal has been made by Mr.Ashwin Jangam to all brothers in Dhamma to send him the songs, discourse, Speeches, events MP3′s on Siddhartha Gautam Buddha; Dr.Ambedkar; Rajshree Shahu Maharaj; Jotiba Fule as our responsibility. It is not only the Radio but it is the way to speak with the world. Let world’s Buddhist people know the Ambedkarite Buddhist people. As Bhante Vinayarakkhita said that Internet is media where we can do good for the society through it. We have got the great opportunity though The Buddha TV and World Buddhist Radio – Awakened Voice (there are so many other media also) to show our culture to the world. Dr Babasaheb Ambedkar started an Institute for depressed classes then after published news paper Muknayak, Bahishkrit Bharat and untouchable. He formed Scheduled caste federation and wrote a book “States and minorities”. Babasaheb had more interest to unite Schedule caste and OBC people. He always told that SC/ST/OBC people should come together and solve their social, economical problems. So that we have to create our own media, jobs, Business etc where we would be able to solve our social-economical problems. Please do visit www.worldbuddhistradio.com and share with your friends and family. “Hundreds of Roma have asked Gypsy Au-thority chairman Orbán Kolompár to help them emigrate because of the series of at-tacks on Roma and discrimination against them, Kolompár told reporters on Tuesday. He said Roma have asked him to issue a certificate to prove that they are exposed to repeated terrorist attacks and are political refugees in Hungary. Noting that he could only do that with approval from the Authority, he said emigration does not solve the prob-lem. “The DNA specimens of two of the four murder suspects now in custody match those found at the scenes of murders of Roma over the past 13 months, police leaders told a Tuesday press conference. National Bureau of Investigation (NNI) head Attila Petőfi and István Házi, leader of the National Police anti-crime unit, also said that guns seized from the suspects were used in the murders. Petőfi said police suspect two of the men of carrying out all nine attacks on Roma and the other two of participating in one attack each. One of them took part in the first killing in Galgagyörk last July, and the other in the Tiszalök murder in April, when a man was shot dead as he set off to work a night shift. It emerged that detectives were able to narrow down the number of suspects on the basis of mobile-phone data to the point where they knew which Debrecen bar they would be in early last Friday. When they found out that the suspects were preparing another crime, they did not wait any longer but acted. Detectives initially suspected a three- or four-member team but after the dual murder at Nagycsécs last November they reduced the figure to one or two, Petőfi said. 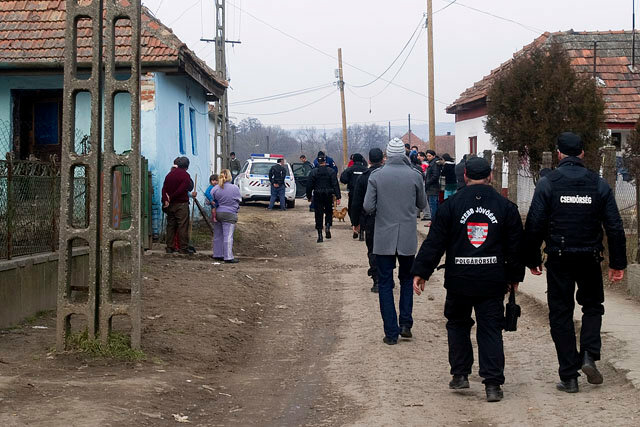 National Police chief József Bencze told ATV that the series of attacks on Roma has ended with the capture of the assumed mur-derers. He said the mastermind of the mur-ders is among the four, but he would not say which of the four he is. At the press conference, Házi thanked the 120 NNI detectives who worked on the case, the national security services, experts, citi-zens and those who provided information. The suspects, aged 28-42 years, include a baker, a soldier and a sound technician with permanent or seasonal jobs, all from Debre-cen and the vicinity. Detectives are examining how the gang could afford expensive SUVs and firearms, as they could not afford them based on the income from their jobs. Petőfi said police will not seek more sus-pects for the time being. Three of the men in custody have made a statement to police, but the fourth has refused to. A police source confirmed that not only the brother-in-law of one of the murder sus-pects is a policeman, but that his sister also worked as the secretary to a Hajdú county po-lice chief. She is currently on maternity leave. For generations, millions of Roma and Sinti people – often referred to as gypsies – have been excluded from mainstream schools in Europe. But the European Court of Human Rights ruled last year that this was discrimination, against the continent’s largest ethnic minority. The BBC’s Ray Furlong examines what impact the landmark judgement has had. There is no sense of victory in Berta Cervenakova’s small flat. The four children, aged 13 – 18, still share the same bedroom they did eight years ago, when she first began her ultimately successful law suit against the Czech state. The dilapidated tenement block in the northern Czech city of Ostrava is now a condemned building. Last year the European Court acknowledged that Berta’s daughter, Nikola, now 18, had suffered discrimination by being sent to a special school for mentally disabled children, even though there was nothing wrong with her. “Then they gave me something to sign, and I signed. It said she was mentally retarded – but I had no idea what that meant,” she recalls. But the verdict was seen by Roma groups as an important tool to fight a practice that is found across Europe – lawsuits have followed in Greece and Croatia, while other countries have taken steps to desegregate classes. Despite this, real change is slow to filter through. The Czechs abolished special schools in 2006 as criticism surrounding the court case grew. For centuries they have been feared, despised and envied. Gypsies, an ethnic minority in Europe, continue to face discrimination that is not very different from what India’s Dalits have to contend with. A team of officials from Hungary, which has a high population of itinerant gypsies, was in Mumbai to study the work being done to improve the lives of Dalits and to take some lessons back home. ”Gypsies were looked upon as strange people when they were nomads, and that was 200 years ago. The alienation continues,” said Timea Borovzsky, chief of the Directorate General for Equal Opportunities (DGEO) of the Hungarian Ministry of Education and Culture. ”It is like the caste discrimination against Dalits in India,” said Borovzsky. Borovzsky along with two other members from the DGEO extensively toured the dry rocky interiors of the Vidarbha region in northeastern Maharashtra. During their quiet visit, they studied how Dalits live in huts lit by hurricane lamps and cope with caste prejudices. ”We wanted to personally see the kind of projects that have been implemented in India to help Dalits come up,” said DGEO deputy director general Gabor Sarkozi. ”In Europe, there are 15 million gypsies and in Hungary, the population ranges somewhere between 600,000 and 700,000. They are the biggest ethnic minority and the most slurred community,” Sarkozi added. Suri Szilivia, a researcher and interpreter with DGEO, said, ”Gypsies or Cigan as they are called in Hungary have a thousand-year-old connection with India. The semantics of their language is similar to Sanskrit. ”But more than this, Indian social reformer Babasaheb Ambedkar is a revered figure to them as well as to us researchers in Hungary,” said Suri. ”In any public place, most majority ethnic community members would just sidle away rather than be seen with a Cigan. The Romas are reluctantly served in hotels or given respectable jobs. Even the tone towards them has a derogatory tint,” Suri added. ”They are brown-skinned and they have the highest school drop-out rates. They are looked down upon and people shun them. They live in ghettoes, though these slums are not as bad as we saw in villages near Nagpur,” said Sarkozi. Sarkozi also said that the Hungarian government has for the past few years been trying to uplift this community which, at present has the highest unemployment rate and gets seasonal employment at construction sites or as daily wage farm labour. According to Borovszky, ”One of the reasons we selected India was precisely because the nature of discrimination is so similar between them and the Dalits. ”We found several projects extremely interesting, innovative and socially relevant for bringing a change in any depressed or marginalised community,” said Borovszky. So what about reservations for this community in institutions? ”Though we do not have any such policies, a similar project was introduced earlier but it was not successful. In the last 20 years, several groups like Neo-Nazis and Skinheads have come up. So far they have not become violent but they are extremely virulent about such policies,” Sarkozi said. Talking about the projects that the study group intends to introduce in Hungary for gypsies, Szilivia said, ”We intend to implement the book bank project and moreover introduce workshops for teachers so that they learn to empathise with these marginalised people. ”In our tour, we found Ambedkarites and NGOs working with Dalits having empathy coupled with irrepressible zest. This is one thing we want to infuse among teachers working in schools meant for gypsies,” added Sarkozi.